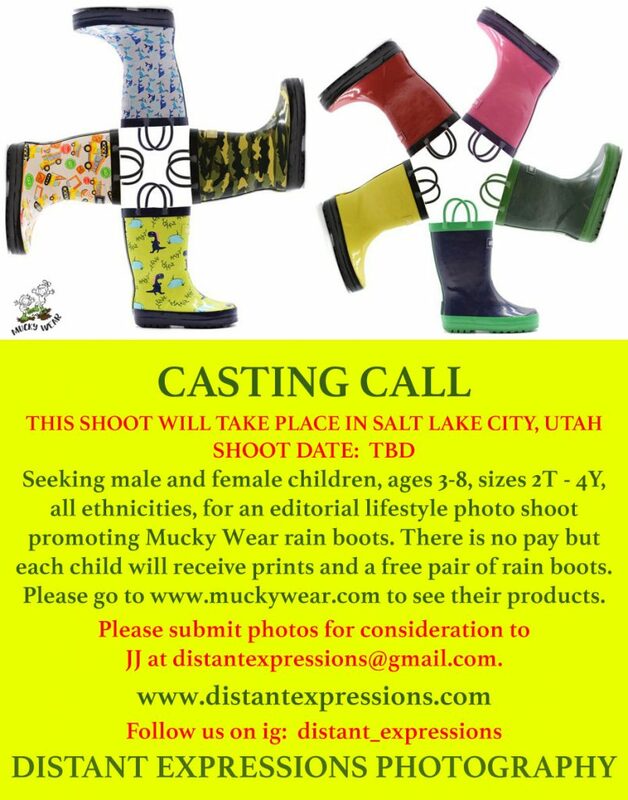 all ethnicities, for an editorial lifestyle photo shoot promoting Mucky Wear rain boots. There is no pay but each child will receive prints and a free pair of rain boots. Please go to www.muckywear.com to see their products. Please submit photos for consideration to distantexpressions@gmail.com and put the words PHOTO SHOOT in the subject box.